The new Big Bertha V Series fairway woods provide distance, versatility and user friendliness thanks to the same speed-enhancing tech seen in the driver as well as the use of a Modern Warbird soleplate. As a special V Series option, Callaway is bringing back the legendary Heavenwood, a unique 20° fairway wood that will offer more consistent distance and tighter dispersion than you might get from a standard 4 and 7-wood set-up. 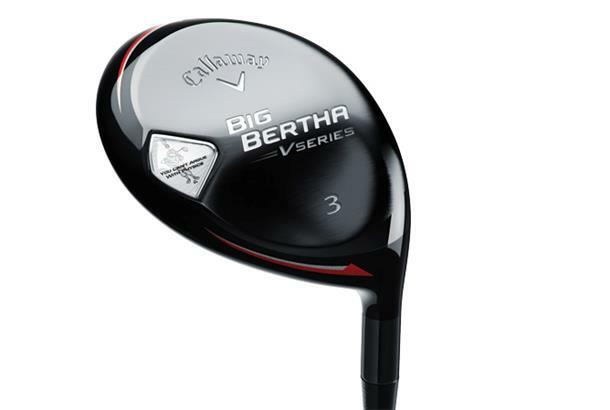 Callaway says the V Series fairway wood is the most friendly fairway wood it has ever made. Fairway Wood available in 15.5°, 19°, 22° and 25°, Heavenwood 20°. I purchased the 15.5 degree wood with a stiff shaft at the start of the season having had a fitting. It is a long hitting club and although it is predominatly straight it is easy to shape. It is good off the tee and is equally reliable from both soft and firm lies and light rough. I tried other clubs, Ping G30, Mizuno, Callaway XR etc but the V series was the best and I am very happy with my purchase.